ClimaCheck onsite is a well proven platform that is used for Commissioning, Measuring & Verification on refrigeration, air conditioning and heat pump systems. ClimaCheck onsite is a well proven platform to validate performance and trouble shoot refrigeration, air conditioning and heat pump systems. Tens of thousands inspections has been made with this very robust and flexible system. ClimaCheck software will give you all the information to analyse virtually any compressor driven refrigeration process. Information are presented in flow chart and available as tables and graphs. With hundreds of ready to use templates, even for the most complex configuration, systems can be evaluated in detail to pinpoint any type of problems on the same level as advanced test rigs in a manufacturers facility. 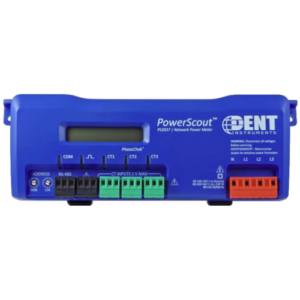 As all the thermodynamic are pre-programmed and many years of experienced is behind the presentation and evaluation templates can be handled by technicians and engineers in the field. As no manufacturer data is required to do a thermodynamic evaluation of the process the method is totally un-biased and performance can be validated and benchmarked versus design and manufacturer data. ClimaCheck PA Pro Portable systems are complete field measuring units with software in a robust “Carry-on” size case with handle and wheels. The standard start kit is developed to allow measurements on any standard refrigeration, air conditioning or heat pump system. 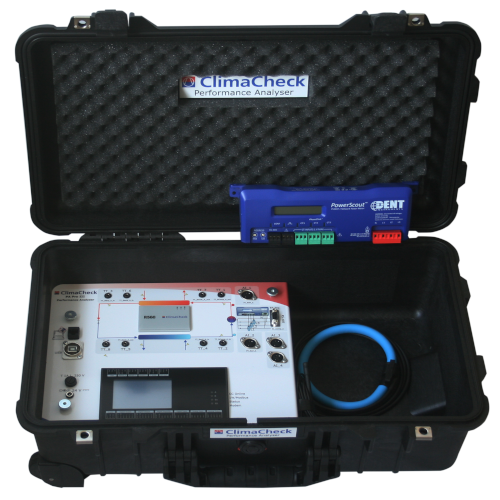 ClimaCheck Portable systems can also be connected to Internet based analyses ClimaCheck online through either a LAN or mobile Internet. ClimaCheck offers a complete range of sensors and transmitters, both wired and wireless, making the system flexible to meet the need of most complex assignments.